Posted January 6th, 2014 by Ruthie Hawkins & filed under Beauty. The edgy photo shot by Inez and Vinoodh features a platinum blonde Rihanna rocking nothing but red lipstick. The “Styled To Rock” hosts recent campaign is the latest development from a long-standing partnership between her and MAC cosmetics. Last year, the Bajan beauty developed a holiday collection consisting of shimmery lip glosses, sparkly eye shadows, and rich eye liners for the mega beauty brand. 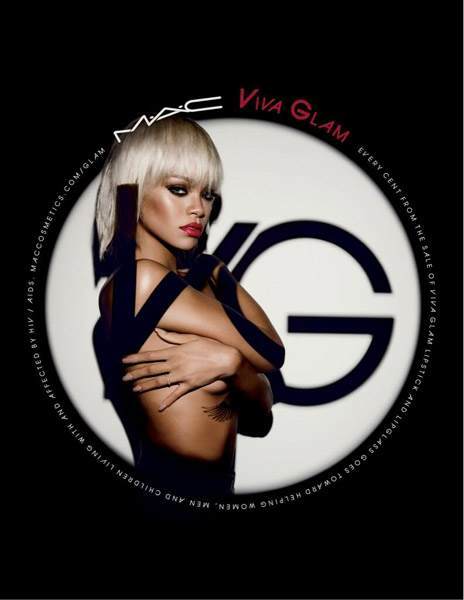 With proceeds from each sale benefiting women, men, and children living with HIV/AIDS, this budding relationship may continue to be fruitful for both MAC cosmetics and Rihanna.